©2013 50" x 50" Black soldiers represented about one-tenth of the Union Army by the end of the Civil War and they contributed greatly to the goal of freedom. Lincoln eloquently spoke of the contributions that the black solders made to the Union cause. Within those 175 regiments was a soldier named Cyrus Young. Cyrus's great great niece contacted me recently, wondering if I would consider naming a quilt to honor the black soldiers, men who fought even though they couldn’t vote. I am humbled to do so to recognize these men who gave so much of themselves for the freedom of others. 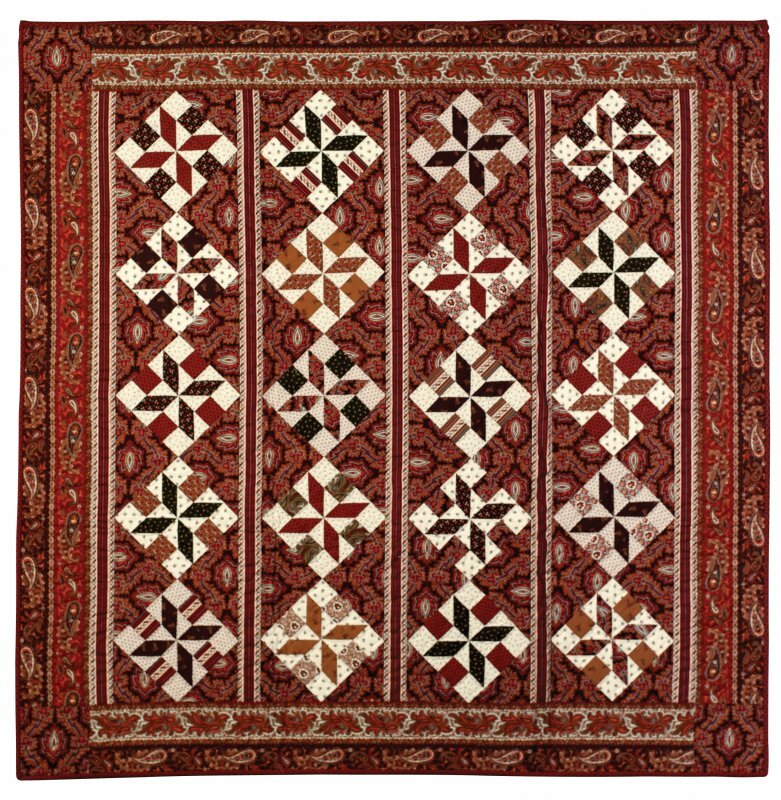 Cyrus Young is a strippie quilt made of 6" blocks set in vertical rows. This setting is a great way to feature the beautiful striped border fabrics included in many reproduction fabric lines.